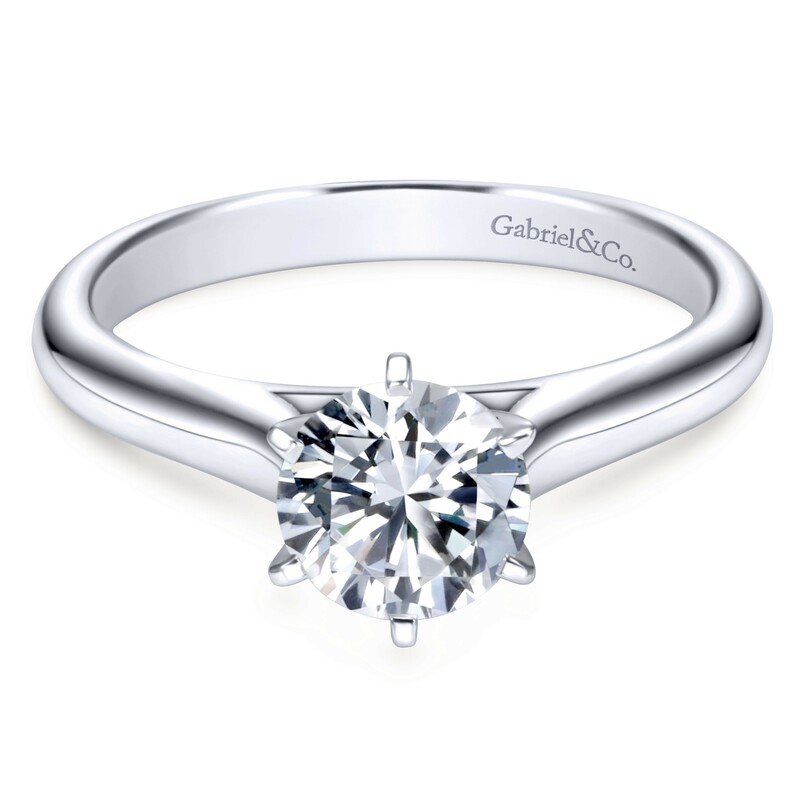 A feminine and graceful 14K solitaire white gold engagement ring includes a polished European shank band to create the perfect pedestal for your centerstone. 7 DAY RETURNS Learn More. For diamonds, call 213.627.7620 or inquire here.